Anticipated for early 2020 production, Ford’s third generation Kuga SUV is revealed. Find out everything we know so far here. From the very first glance, you feel an immediate modernisation with the exterior of the SUV thanks to soft, smooth contouring crafted around the car to create a sporty dynamicity similar to the likes of a Ford Fiesta. Now bigger in size, the New Ford Kuga has grown in length by 89mm and in width by 44mm. A further 20mm added to the wheelbase and you’ve got a Kuga more spacious than ever with slightly bigger dimensions. 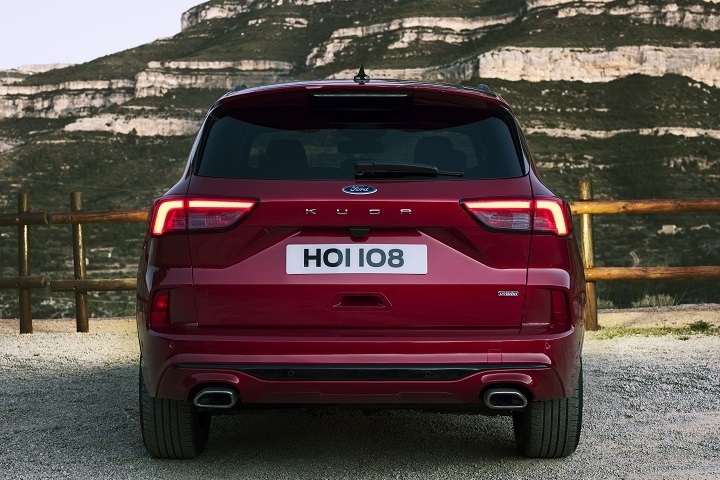 The new rear bumper adds an extra layer of protection to the Ford Kuga as well as integrating Ford’s Hands-Free Tailgate which allows you to open the boot lid by waving your foot underneath. 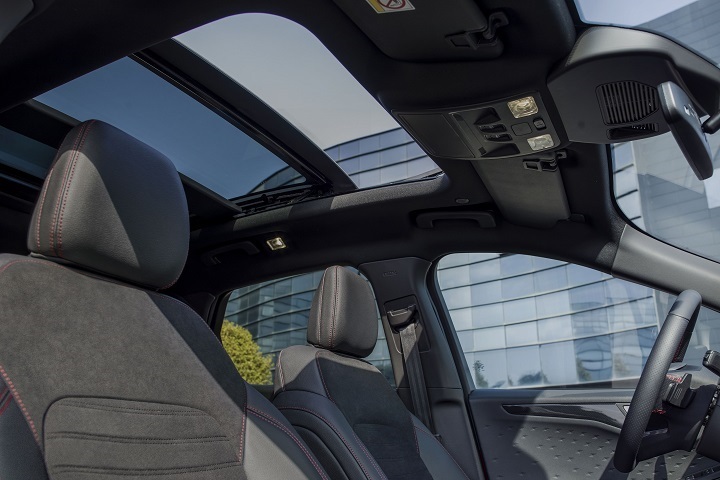 Although some critics are not in favour of the added bulk to the rear, the Kuga’s lowered, swooping roof makes it more athletically streamlined. You’ll also notice the Kuga has updated its grille to mirror the likes of the Ford Fiesta’s on-trend honeycomb style improving the air movement throughout the vehicle. The Kuga’s front LED headlamps have been borrowed from the latest Focus design as well as the switch to central lettering on the rear of the car, again emphasising its move towards a more modern look. In terms of looks the Ford Kuga has come a long way since first launching in 2008. It now rivals with leading SUV models such as the Nissan Qashqai and Kia Sportage but what pulls the Ford Kuga apart from the rest of the crossover crowd? Read on to find out. The new Ford Kuga 2020 has been redesigned with a fair amount of upgrading but the one that caught our eye the most was the sliding rear seat option. 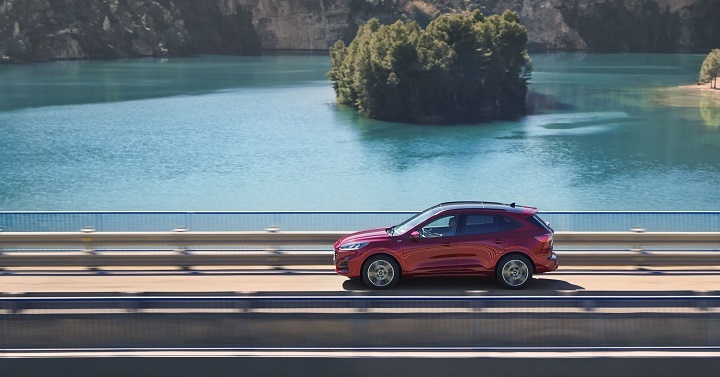 That’s right, Ford have added the Kuga to their list of vehicles that now have 3 separate rear seats which passengers can independently adjust and slide for extra comfort. Depending on which direction you slide, forwards or backwards, you have the option to increase leg room or expand boot space. By sliding forwards, owners can enjoy an additional 67 litres of boot capacity. Though there are no concrete figures released for boot space, the new Ford Kuga is expected to have a larger capacity than the 406 litres available in the current Kuga. The third generation Kuga is Ford’s first SUV to offer a 12.3” digital cluster though all entry-level models will come with analogue controls. 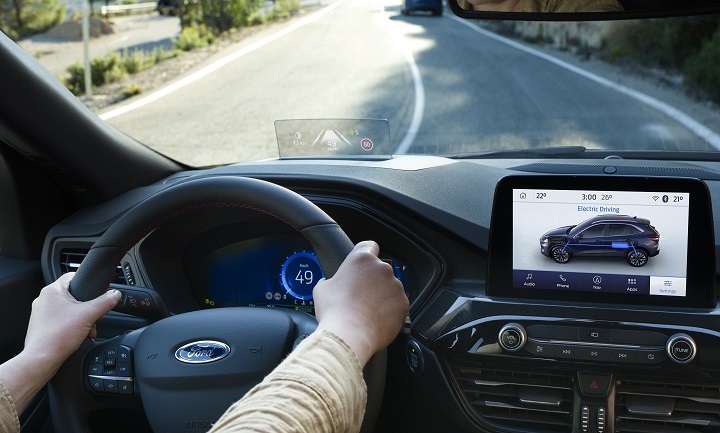 The cabin includes an 8” high-resolution touchscreen which connects to Ford’s famous SYNC3 infotainment software compatible with both Apple CarPlay and Android Auto as well as the new FordPass Connect which allows up to 10 devices to be connected at once through wireless technology. The high-tech interior seems to be heavily influenced by the Ford Focus and also includes wireless charging for mobile phones. This is where things get even more exciting. The new Ford Kuga will be offered with five powertrains including three hybrid engines as well as the conventional diesel and petrol. First of the hybrid line-up utilises a 48-volt mild-hybrid arrangement paired with a 2.0 litre EcoBlue diesel engine which supplies 148bhp. Though this hybrid system will not be able to function solely on electric power, it is expected to return economy of 56.5mpg and 132g/km in carbon emissions. This powertrain also uses advanced technology that will allow the car to recover and store energy through braking power which can then aid in boosting acceleration. Next, we have a powertrain which is made up of an electric motor running on a small lithium-ion battery and a 2.5 litre petrol engine which together enable the Kuga to successfully drive on pure electric power for short periods of time. Fuel economy return is calculated to be 50.4mpg with carbon emissions of 130g/km. This hybrid will also offer All Wheel Drive. Sitting at the top of the three hybrids is the Kuga Plug-In Hybrid (PHEV) which is comprised of a 10.3kWh lithium-ion battery powered electric motor and a 2.5 litre petrol engine to deliver 222bhp. The Kuga PHEV will be able to travel up to 34 miles on pure electric power and reports an economy figure of 235.4mpg. Carbon emissions are considerably lower than the other two hybrids at just 29g/km. A 1.5 litre petrol engine is also available with a 6-Speed Manual transmission as well as a 2.0 litre diesel engine with an 8-Speed Automatic transmission. 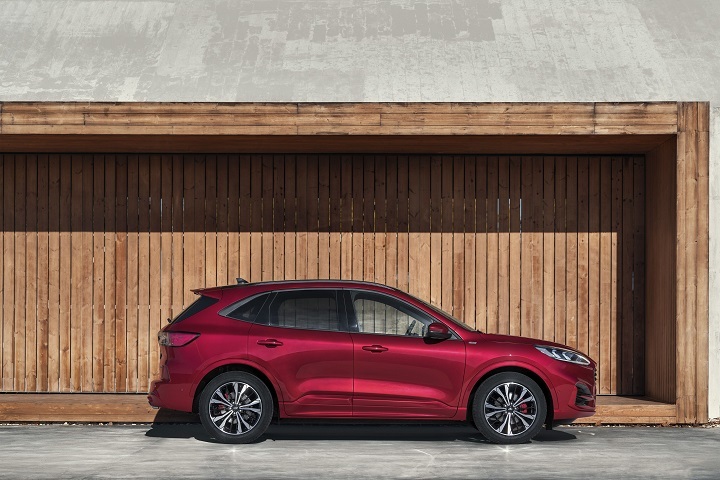 The New Ford Kuga is anticipated for sale in early 2020 and estimated to be priced at around £24,000 for entry models. Tell us what you think of Ford’s third generation Kuga in our social media comments and we’ll be sure to reply.